Forty years ago today — May 14, 1973 — the last operational Saturn V rocket lifted off from the Kennedy Space Center and carried the Skylab space station to orbit. The “telescope mount” — positioned at a right angle to the main body, as seen in the image — pointed at the sun, and provided some spectacular images of solar activity in addition to being the primary reference point for the station’s attitude control subsystem. Technology being what it was at the time, astronauts had to retrieve film from the ATM’s cameras by taking spacewalks to it. was a modified Saturn 4B stage suitable for long duration manned habitation in orbit. It contained provisions and crew quarters necessary to support three-person crews for periods of up to 84 days each. 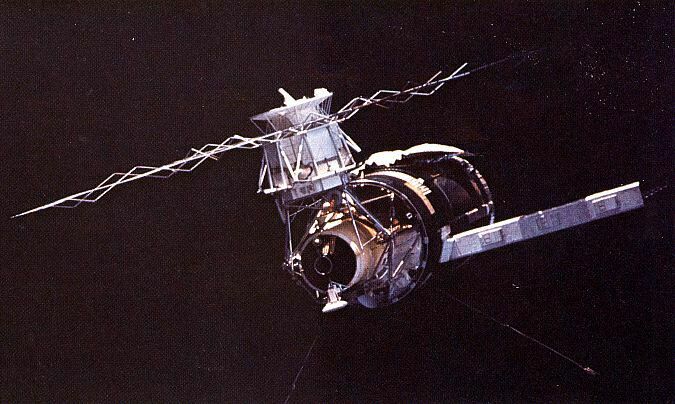 The first crew to inhabit the station launched eleven days after the station itself went into orbit.